Help has arrived. Don’t let the narcissist steal another second from you! “Sit back, relax, nestle into a comfy sofa and enjoy a soothing cup of tea. Turn the pages of this book, knowing this guide will help you work through some of the most challenging circumstances a person can encounter on the planet. You are in good hands with Randi Fine’s outstanding book. Readers, you are in for a real treat.” Andrea Schneider, MSW, LCSW Psychotherapist/Life Coach specializing in narcissistic abuse recovery in Los Angeles. Close Encounters is a comprehensive, compassionate and supportive guide to understanding the unique and complex nature of narcissistic abuse and the emotionally crippling syndrome that results from it. This groundbreaking book gives narcissistic abusesurvivors the most complete and trustworthy road-map to guide them through the healing process, into recovery, and ultimately to the freedom and happiness they deserve. Narcissistic abuse survivors, concerned supporters, and helping professionals will find the most up-to-date information on the psychological, emotional and physical effects of NPD abuse. Readers also learn how narcissistic abuse infiltrates various settings including work, family-of-origin, friendships and romantic relationships. Written in a non-labeling, non-judgmental style, survivors will find this book highly educating and empowering. To those people in your life who cannot possibly understand what you have endured, you no longer have to explain. Just hand them this book. You have suffered enough. Now it is time to heal. William 5.0 out of 5 stars Finally, the support system I’ve been searching for! December 3, 2017 Format: Paperback Verified Purchase I’ve been a regular follower and fan of Randi Fine for a few years now, and was anxiously waiting for this book to come out. Close Encounters honestly exceeded my (already high) expectations; I couldn’t put it down! Having read other books on NPD, I found this one to be far and above the most complete, well-researched NPD publication I’ve come across. 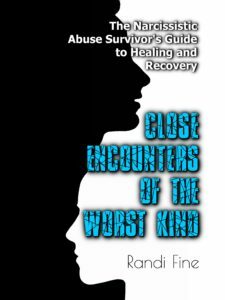 The descriptions of abuse in this book are spot on to what I have personally dealt with, and Randi’s guidance on dealing with abusers truly gives me hope. For so many years I have felt misunderstood, but now I feel like I have finally found a support system for my healing. If you are struggling with NPD abuse, you owe it to yourself to get this book! RaveReviewer 5.0 out of 5 stars A Must-Read!! March 6, 2018Format: Paperback Verified Purchase After reading an excerpt from this book (on Narcissistic Fathers) on the author’s website that was 100% spot on, I promptly ordered Close Encounters. It does not disappoint! This book fleshes out NPD and NPD dynamics better than any other that I have read. It is well organized and clearly written. Understanding is the first step toward healing. Ms. Fine has been there, and she KNOWS. Get this book!! 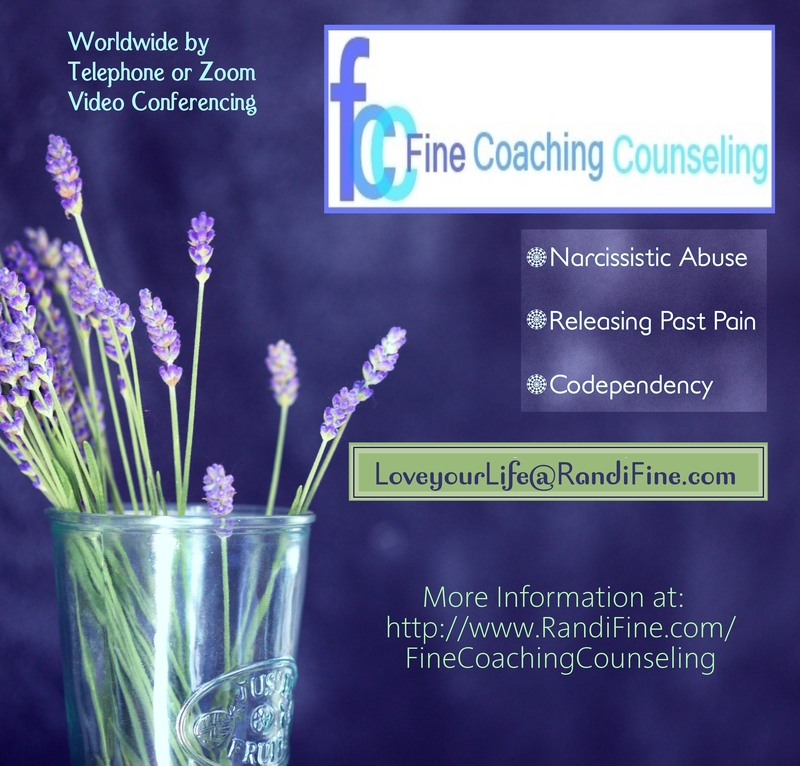 Nanci Danison 5 out of 5 stars Narcissists: Randi Fine has you figured out! February 13, 2019 I have read several books on narcissism written by the foremost researchers of the topic but none of them makes the subject matter come alive like Randi Fine’s book does. Randi’s descriptive writing style and use of client histories create a treasure trove of “ah ha” moments that are not to be missed if you want to understand the bad behavior you have seen or been subjected to by others. And her terms “narcissistic supply” and “flying monkeys” succinctly capture so much experience and understanding and put them in the palm of your hand. If you have ever wondered why someone close to you stabbed you in the back, or why you were never good enough for one or both parents, or why someone romanced you ferociously only to drop you without warning, you must read this book. It will lovingly lead you through understanding and acceptance to healing. Bob 5.0 out of 5 stars How to deal with a narcissist. July 25, 2018 Format: Paperback Verified Purchase Love this book! Having survived two failed marriages I never saw myself as a victim of NPD. Randi Fine helped me to understand I was clearly held “ hostage” by two narcissist. Even the language she says they use was eerily spot on! Not only does this book provide great insight and understanding, it also gives value tips in how to deal with narcissist. You cannot fix them or change them, so don’t waste time trying. It’s particularly sad and disheartening for those of us who have children with these people and are forced to “ co-parent “ with them. If you are lucky enough not to be in that situation, turn and run like hell! 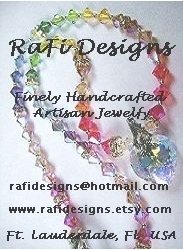 Thank you, Randi Fine! Beth M Katz 5.0 out of 5 stars I have not only strongly recommended this book as a must-have in libraries December 2, 2017 Format: Paperback Verified Purchase As a psychotherapist, I have not only strongly recommended this book as a must-have in libraries, but I have recommended & referred patients/potential patients to Randi Fine. If anyone knows NPD, it’s Randi. For those professionals who treat those with NPD and/or victims of NPD…get this book. For those individuals who are victims, read this now! pj 5.0 out of 5 stars Excellent September 3, 2018 Format: Kindle Edition Verified Purchase I came to this book having read and gathered information about my experiences for about 15 years. This is the best book I’ve read as far as pulling all the information together–both what I have read and what I have experienced–and making sense of it. I would definitely recommend it. Susan Neal 5.0 out of 5 stars Comprehensive Coverage of NPD December 19, 2018 Format: Paperback Verified Purchase If you need answers about NPD this is the book for you. It explains in lay mans terms that NPD is a mental illness and how to deal with it. This book covers the NPD mother or father, and what happens to the kids. Plus it covers if you have sibling with NPD. Now you can understand why the N. blames and rages but still acts he is the victim. Great book. superduperperson 5.0 out of 5 stars Excellent source for survivors of NPD abuse December 3, 2018 Format: Paperback Verified Purchase This book is the most comprehensive source that I have found for survivors of NPD abuse. Ms. Fine covers such a large number of areas with depth that can’t be found in a single other source. I’ve read a number of other books on disordered individuals and their victims, but none compare to this single source. Ms. Fine writes in a compassionate way that will assist survivors in discovering they are not alone and guide them through the emotional turmoil that people with NPD leave in their wake. Ms. Fine teaches survivors not to blame themselves, gives them tools to work through the myriad emotions that come from leaving such a relationship, and helps survivors recognize NPD as they move forward. Lauren 5.0 out of 5 stars Randi Fine has done a brilliant job pinpointing explicit details about … November 1, 2017 Format: Paperback Verified Purchase This book is a MUST read for anyone who believes that they have been affected by NPD. Whether you are a victim yourself or even someone interested in being a support to a victim impacted by this incredibly powerful and toxic illness, Randi Fine has done a brilliant job pinpointing explicit details about the signs, symptoms and characteristics of NPD, how to determine if someone in your life may have NPD, and most importantly, how to stop the vicious cycle of being a victim of the abuse by becoming a survivor. DKD 5.0 out of 5 stars Life Changing Book November 15, 2017 Format: Paperback Verified Purchase Great book providing so many insights. It’s amazing Randi’s knowledge of the subject and the light bulbs that go off over and over as you read it if you are in a relationship with someone with NPD. Highly recommended if you are suffering and it will change your life. Robin 5.0 out of 5 stars Very Helpful Book March 19, 2018 Format: Paperback Verified Purchase Very helpful book to understand narcissists behavior and control methods. Really helpful to me to understand it was not my fault. Parental info was not helpful to me as it was not a parent who was the narcissist, but I’m sure it would be helpful to others. DERO1979 5.0 out of 5 stars Randi to the Rescue… January 18, 2019 Format: Paperback I think the only thing more helpful than this book has been the one on one counseling sessions that I have had with Randi as a result. After an absolute dumpster fire of a relationship with a NPD/APD/Alcoholic/Drug Addict (yes, I hit the grand slam) woman, I sank into some of the worst depression of my life. I saw two psychologists prior to meeting Randi who just didn’t seem to understand what was taking place. When I tell you that speaking with Randi for 10 minutes was more valuable than 4 months of therapy with less educated professionals I am not kidding. As a person she is kind, compassionate, a great listener and above all else – KNOWS WHAT SHE IS TALKING ABOUT. 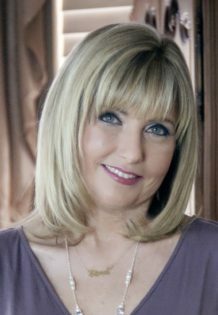 Her book is a valuable tool to helping others understand what Narcissistic Abuse is and my hope is that psychologists will become more aware of it’s devastating effects as well. I highly recommend this book to both those who have been abused and to those who have not been abused as Randi lays out all the signs to look for. If you have been abused, then you know how awful it is. If you have not been abused, trust me, you dont want to find out. Arm yourself! Get this book and if you’re suffering, set up counseling sessions with her. You will start to feel better almost immediately. Pam Hamilton5.0 out of 5 stars Very well written January 8, 2018 Format: Kindle Edition Verified Purchase This is the 4th book that I’ve ordered on NPD and the only one that I have had trouble putting down. I’ve only read to Chapter 4, but it’s already been very helpful! Meg Pylant 5.0 out of 5 stars Very well written and very helpful June 14, 2018 Format: Paperback Verified Purchase Some tremendously great info in this book. Amazon Customer5.0 out of 5 stars Anything you need to know about NPD is here March 16, 2018 Format: Kindle EditionVerified Purchase I cannot recommend this book enough. It is so easy to read. It has so much helpful information for anyone who has ever dealt or dealing with a person with narcissistic personality disorder. It provides real life examples of how damaging NPD people can be to kind empathetic individuals. Sean B 5.0 out of 5 stars Empowering and hard truth. The Best resource I have found November 2, 2017 Format: Paperback Verified Purchase I came across Randi’s life changing information at EXACTLY THE RIGHT MOMENT IN MY LIFE. I am a survivor of a 12 yeAr relationship with a person with extreme NPD. We have a son together, and I was only able to Win full custody of my son Oct 26 2017 after having to execute an elaborate and painful plan to be able to expose her abuse in court if needed (and I would) . After leaving court I had broke the last narc suply she was holding. I went home searching for some answers because I still didn’t know why I had to endure such pain in my life. I knew there was a reason as I always look at adversity as chance to grow. But I didn’t know still where to go now And why. Randi’s info empowered me to understand I have a gift of extreme empathy but that it has been perverted and immediately I was able to see where I’m suppose to go next on my journey. She is truly caring…..as someone who went through the deepest of battle over 12 years; Randi nails every aspect of life with the toxic path Narcissist. I ordered close encounters and My book arrived yesterday. As expected, this is my road map going forward. Ps I ordered two copies because it’s a great resource to provide to anyone who cares about your well being to provide context to what we have gone through and will continue to battle. Angelique Segarra 5.0 out of 5 stars This is a must read for anyone in any relationship … February 27, 2018Format: Kindle EditionVerified PurchaseThis is a must read for anyone in any relationship (be it family, friend or significant other) and who is wondering, is it me,or is it them? This book will help you get the answers to those questions and many, many more. Thank you Randi for all you do including your YouTube channel . DocDonna 5.0 out of 5 stars Best Book of the year! December 5, 2017 Format: Paperback Verified Purchase Being a survivor, this wonderfully written book is helping me understand that it wasn’t me or my sisters, mom or brother, it is my father. He’s the one that will have to answer for his madness. Thanks for opening my eyes that I’m not the only one and there are millions of affected victims of these maniacs. Thank you. Linda5.0 out of 5 starsI highly recommend this book that is so thoughtfully written to help … November 28, 2017 Format: PaperbackVerified PurchaseRandi’s expertise has saved me in so many ways from being more abused by my NPD abuser and his NPD family. I highly recommend this book that is so thoughtfully written to help you get your confidence back and start to heal. Thank you Randi. julie borum 5.0 out of 5 stars Great read for therapists and clients alike! July 31, 2018 Format: Kindle EditionVerified Purchase The answers to many questions are found in this book. If you think there is something wrong with you likely have had a close encounter of the worst kind. Nanette C. 5.0 out of 5 stars Amazing author and relevant advice. Very comforting. March 25, 2018 Format: Paperback I am a victim of Narcissistic abuse and my husband has begun a campaign of horrific parental alienation. It is so very comforting to know that people like Randi are out there to provide support in my tragic situation. This issue should be more understood so that adult and child victims of Narcissistic abuse can have the support and understanding needed in order to heal. Sylvia thomas 5.0 out of 5 stars Finally the help I needed! December 10, 2017Format: PaperbackVerified PurchaseI was caught in my own thoughts and needed some guidance. This book helped me tremendously! I couldn’t stop reading and it helped me understand alot more about my situation. Thank you Randi for this wonderful book!!!! Kelly Wamboldt 5.0 out of 5 stars Validating September 19, 2018Format: PaperbackA thorough and comprehensive book for a man who has been alienated from his children and still not divorced after six years of separation from an emotionally, psychologically, and financially abusive wife.